UPM Raflatac has launched a new roll-to-sheet labelstock designed to deliver optimized performance and sustainability into Office and A4 logistics applications. Laserplus Fit PEFC RP A2 KS55 replaces Laserplus PEFC RP A4 KS55 for labelling end-uses such as shipping, routing and tracking. The thinner and lighter ‘Fit’ label face offers increased efficiency for both label converters and brand owners. The converter is able to move to longer reel lengths, and end-users benefit from using less material. Customers of UPM Raflatac have reported excellent performance in high-speed conversion and particularly during matrix-stripping. Good die-cutting characteristics provide clean and sharp label edges, and the new product shows optimal lay-flat properties in typical cut-size formats. UPM Raflatac’s PEFC chain of custody certification verifies that the wood fibres of the Laserplus Fit PEFC face material are from responsibly managed forests. The thinner label face also contributes to improved environmental performance. Based on UPM Raflatac’s comprehensive lifecycle assessments (LCA), switching from Laserplus PEFC RPA4 KS55 to Laserplus Fit PEFC RP A2 KS55 reduces carbon emissions by 8%, energy consumption by 6% and water consumption by 8%. The next Label Summit Latin America, the 12th edition of the event, is to provide an agenda for growth as the region’s prospects rise, with a speaker line-up including suppliers to and printers from across the region discussing topics ranging from new printing techniques to revolutionize design and branding, to shrink sleeves and smart technologies. Taking place April 21-22 at World Trade Center in Mexico City, the two-day conference program features representatives from: suppliers such as Avery Dennison, HP Indigo, Epson, Mark Andy, Goss International, Esko, DuPont, UPM Raflatac, Wausau Coated Products, Accraply, Yupo, AVT, Smartrac and Flint Group; converters Papeles y Conversiones de México and Gráfica Villalba; regional associations Ametiq and Acoban; brand Tequila Bonanza; and the Mexican Wines Committee. Labels & Labeling’s James Quirk, Latin America editor, and Danielle Jerschefske, North America editor, will help chair and moderate sessions and discussions across the two days. Sessions will cover topics ranging from training and education in the label industry, and creating new opportunities in brand development and market positioning, to opportunities in Mexico’s fast-growing wine market and in-mold cup production for World Cup 2014, which was held in Brazil. In addition, a table-top exhibition will support the summit, with representatives from further suppliers to the market, such as Xeikon, SPGPrints, Edale, Sappi, Sun Chemical, Alphasonics and RotoMetrics, to be present. The previous Label Summit Latin America, held last year in Medellin, Colombia, hosted more people than any previous Label Summit run anywhere in the world. Xeikon is pleased to report that the 2015 edition of the Xeikon Café Packaging Innovations saw a 35% rise in visitor numbers with more than 700 industry innovators keen to learn about enhancing digital print production. Hosted by Xeikon in collaboration with its Aura partners, the three-day event at Xeikon’s R&D and production site in Belgium was held to help label and packaging printers as well as converters, print buyers, brand owners and marketers worldwide transform profitability. Visitors were able to learn more about the latest trends and innovations in digital production and had the opportunity to get up to speed with the newest technologies and share insights. “We are delighted to see the Xeikon Café Packaging Innovations platform is growing, in terms of both industry and customer support. We received very positive feedback from the event attendees. The relaxed approach to this educational review of market drivers, trends and emerging technologies enabled them to have far reaching conversations and get a clearer business path for their journey ahead,” says Wim Maes, Xeikon CEO. During the Xeikon Café, a series of presentations were held as part of the Business Conference program where highly experienced market experts and Xeikon customers shared business insights and experiences on digital printing. Running alongside, the Technical Conference program provided a number of technology-driven seminars given by Xeikon and its Aura Partners. 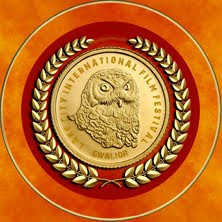 In total more than 100 sessions were held, covering all aspects of digital production. “One of our objectives with the Xeikon Café is to provide an informal knowledge exchange platform. Also for the 2015 edition, we certainly reached this goal with a large number of high quality presentations, all providing outstanding industry related information. Leading market trends and their influence on brands and print buyers were just some of the most interesting topics,” adds Maes. At the Xeikon Café 2015 edition, no less than 33 Aura Partners exhibited their integrated solutions and industry expertise through more than 15 different applications ranging from folding carton to self-adhesive, heat transfer and in-mold labels. The wide range of applications illustrated exactly the extent of what digital production can achieve. Combined with the many networking opportunities, this event was also much appreciated by the attending Xeikon Aura Partners. “We are pleased to see also our Aura Partners embraced the Xeikon Café 2015 edition. Digital printing answers many of the challenges today’s print producers, print buyers and brands face. Because there is more to print production than printing, we have gone one step further and developed together with our Aura Partners total solutions. These solutions, or suites, are carefully selected and thoroughly tested combinations of equipment, technologies and capabilities. Having these solutions demonstrated live at the Xeikon Café, we managed to educate visitors how to produce not only head-turning prints, but fully finished products,” Maes concludes. Xeikon invites anyone that was unable to attend the event to visit the www.xeikoncafe.com website for more impressions, images or to request a free sample package. Xeikon will present its new Xeikon 9800 dry toner digital color press at Graphispag, where visitors will discover the advantages of the Xeikon solutions on stand E551. Graphispag takes place March 24 to 27, at the Recinto Gran Vía 2 de Fira de Barcelona in Spain. Xeikon’s return to this industry event, demonstrates its confidence and interest in the Spanish market. Also underlining Xeikon’s commitment to the Spanish market is the direct sales structure the company has in place, as well as the opening last year of an office in Barcelona headed by Jordi Grau, an experienced professional with a longstanding career in the graphics arts market. As Sales Director Xeikon Iberia, Jordi Grau stresses the importance for clients on working directly with the supplier: "Since the organizational change is fairly recent, Graphispag will help us further develop personal relationships with our clients and inform them about everything our local team can offer them." 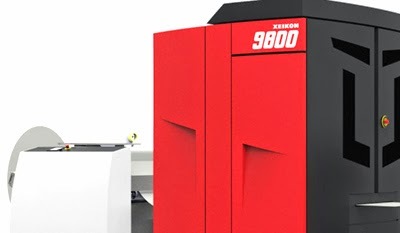 The Xeikon 9800 digital press – which replaces the Xeikon 8800 press in its family of digital color production presses – uses Xeikon’s new QA-CD toner, delivering the proven outstanding Xeikon print quality at speeds up to 21.5 meter per minute at reduced consumables cost. This makes it the most productive digital color press in the Xeikon portfolio with 5/5 single-pass duplex printing. The Xeikon 9800 sets another benchmark for quality and versatility in digital document and commercial printing. The press can print on a wide range of untreated substrates ranging from an amazingly lightweight 40gsm up to 300gsm substrates. In addition, integrated with the variable data capabilities of the Xeikon X-800 front-end, this press is perfectly suited for high-end direct marketing work. The uniquely adapted Xeikon QA-CD toner and Xeikon’s high-quality imaging system deliver a print resolution of 1200x3600 with variable dot density for unmatched quality. Available QA-CD toners include CMYK, Red, Green, Blue, Extra Magenta and SuperBlack as well as White and Clear (UV reflecting) toner. Upon request, Xeikon can also provide special colors specified by print production operations and their brand owner client. Innovation, quality and functionality are the capabilities Xeikon will demonstrate through its showcased digital printing solutions at Graphispag 2015. 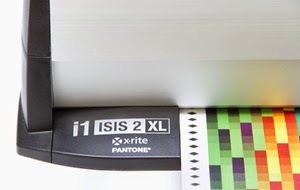 X-Rite Incorporated, a global leader in color science and technology, and its subsidiary Pantone LLC, today announce an important update to its popular i1iSis Solutions family of automated chart readers for prepress/premedia, photo and pressroom color management and profiling. The new i1iSis 2 and i1iSis 2 XL use i1 spectral technology to accommodate M0, M1 and M2 measurement illumination conditions which help manage the complexities of measuring optically brightened substrates now commonly used in grand format, premedia and digital press applications. “For anyone in prepress, digital print or the graphic arts production process that spend time measuring charts, the new i1iSis2 is a must,” said Ray Cheydleur, Printing and Imaging Portfolio Manager of X-Rite. i1iSis 2: Reads up to 1,500 patches on a single A4/Letter sheet in just 8 minutes. The X-Rite i1iSis 2 and i1iSis 2 XL come with built-in vision systems that offer high tolerance for how charts are aligned as they are fed into the system, automatically correcting for misalignment. Barcode reading for chart identification adds further ease of use and error reduction. Spend less time on press profiling and more on taking care of customers. The i1iSis 2 and i1iSis 2 XL are XRGA compliant. The X-Rite Graphic Arts Standard (XRGA), an X-Rite calibration standard for graphic arts instruments, includes new advances in color technology and changes required to meet ISO-13655. As XRGA-compliant instruments, the i1iSis 2 and i1iSis 2 XL ensure high quality data exchange and workflows in environments where different instrumentation is used. Release liner is unquestionably a key enabler for applying labels and tapes, protecting the seals on envelopes, hygiene and consumer wound care products, as well as a variety of industrial uses. It is also the subject of considerable focus today in relation to reuse and recycling - particularly in the high-volume labelstock market. The current profile of this wide-ranging market is the subject of AWA Alexander Watson Associates’ Global Release Liner Market Update 2015. Now in its eighth edition, this focused annual market report provides insights of value to all involved in, or seeking to explore, the release liner supply chain, in terms of current and forecast future status. AWA record that estimated global volume consumption of release liner was 43,984 million square meters in 2014. Regionally, Asia consumed 37% of this total - ahead of both Europe and North America, each of which had a 28% market share. The emerging economies, South America and Africa and the Middle East, now represent 4% and 3% of the world market respectively. 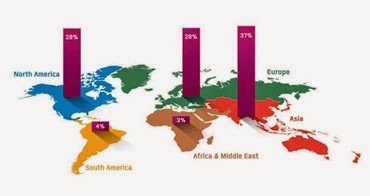 Pressure-sensitive labelstock remains the prime end-use segment for both paper- and film-based liner, and grew by 4% in 2014, but it was the market for pressure-sensitive tapes that grew globally most dynamically - at 9.7%. The report brings together the important facts on volumes, growth rates, market structure and regional characteristics, as well as raw material trends and costs, regional differences, end-use markets, and environmental issues. 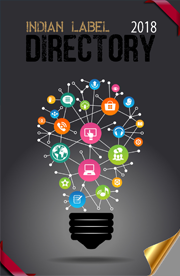 It also features the unique documentation of around 100 market participants’ views of the release liner industry’s business platform, as recorded in the company’s annual ‘voice of the industry’ survey, which spans globalization, M&A activity, sustainability and environmental issues, industry costs and profitability, and growth expectations by region. Food packaging safety is an issue to which Henkel - as the world's largest adhesive manufacturer - is deeply committed. The "Food Safe Packaging" knowledge platform launched by Henkel nearly two years ago is now being made even more appealing - launching a number of new features. The offerings available on the website www.henkel.com/foodsafety include white papers, webinars, and videos dealing with the key matters of food safe packaging. All it takes is a couple of mouse clicks to bring the basics up on screen. Those wishing to look into the topic more closely are invited to register for access to the Premium Area. Also in 2015 Henkel will be holding live webinars on its website in which our experts will talk about different topics relating to packaging and the requirements that food packaging has to satisfy. The year will start with the first session of the new "Global Food Safe Packaging Webinars" series in English language. Considering the time differences all over the world every webinar of this series starts at 9 a.m. CET for interested parties from the eastern world and again at 4 p.m. CET for the western part of the world. 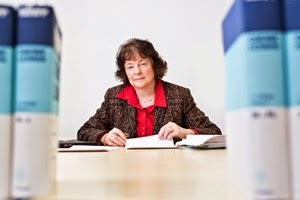 On April 24, Dr. Monika Tönnießen, responsible for Henkel's European product safety and regulatory affairs within the Adhesive Technologies division, will speak about the topic "Ways to improve Food Safety". Those interested in participating can already register at www.henkel.com/foodsafety. Besides the webinar offerings, the Premium Area comes up with three new features. Several white papers have been translated into European key languages. Furthermore, the white paper section has been changed now, providing a clearer overview of the languages in which each document is available for downloading. The visitor can see all language versions of a document and download them without changing the view. A new whitepaper relating to packaging trends has been published recently answering the question of how demographic changes impact packaging design. The five requirements presented in the document clearly demonstrate that adhesives play an important role in the functional design of a packaging and that the right choice of adhesive needs to be considered very early in the packaging design process. And there are new questions presented in the FAQ section with competent answers by Henkel experts. The list includes many of the questions asked in the course of the live webinars regarding Paper Packaging, Raw Materials and Flexible Packaging. Henkel's Food Safe Packaging initiative addresses food safety officers, quality managers, packaging developers, buyers and other stakeholders from the food and beverage industry who wish to learn more about the issues and developments relating to this important subject. The food packaging applications for which Henkel adhesives are used range from cereal boxes, beverage bottle labeling and glossy pouch packages for potato chips, to film packaging for sausage, cured meats and cheese. With their know-how, Henkel's specialists ensure that producers are able to offer the highest possible level of safety in their food packaging. Integral to this initiative is Henkel's commitment to share knowledge, interact and collaborate with all partners along the value chain. The company is constantly building on its in-house competence, leveraging its activities in central analytics, toxicology and product development, and with a specialist team to deal with all the regulatory issues. Leading testing instruments manufacturer Mecmesin has introduced its latest model, the FPT-H1 horizontal friction peel and tear tester. Designed for ease of use and supplied pre-programmed for all the main industry standard friction-testing methods for plastic films, paper and board. With fixtures also for peel and tear testing, it is ideally suited to the packaging industry, and for manufacturers, converters and users of sheet materials. In the dynamic environment of sheet and web-fed machinery, quick and accurate measurement of the coefficients of friction is vital. Machine speeds can only be only optimised for productivity if tearing, jamming and misfeeds are prevented, so the FPT-H1 is designed for reliable and rapid testing. With an integral touch screen to access test routines, and guidance through each run, testing requires minimal training with maximum repeatability. 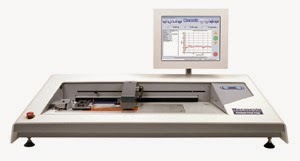 For quality testing of seals, closures and perforations, and the tear strength of sheet materials, the FPT-H1 presents convenience and high throughput. Affordable for the smaller user, it is also robust and reliable for the more demanding environment. With Mecmesin’s powerful Emperor software for control, data acquisition and analysis, the FPT-H1 is also ideally suited to detailed laboratory testing and extension into other tensile testing. When fitting plastic film samples it is vital not to compromise the surface being tested, so to minimise handling, the FPT-H1 employs quick-attachment grips, and coefficient of friction (COF) sample sleds with magnetic grips. The plane bed itself is easy-clean stainless steel. Sample sleds are available to comply with the weights and dimensions requirements of all the main test COF standards, with linkages as defined for static and dynamic coefficients of friction and avoidance of stick-slip behaviour. ISO 15359 is the paper and board coefficient of friction standard that sets the testing bar highest. By requiring a mechanised set-down and lifting mechanism and guide rails, it seeks to eliminate operator variance, and sled rotation and drift caused by surface variability (inks, embossing and textures). The FPT-H1 has these facilities as an optional built-in feature, with operation fully integrated into the supplied ISO 15359 test program. The FPT-H1 can be employed equally for tear and peel testing in packaging situations, including fixturing for 90 and 180 degree and T-peel standard methods, and trouser tear or perforation line testing. Packaging production has been given its very own makeover by Mimaki, and the results, along with the market’s latest looks, will be revealed at Cosmopack, part of the 48th Cosmoprof, being staged on March 20-23 in Bologna, Italy. Mimaki will be located in Hall 20, stand C9-D8 at the show. Solutions on display will address the need to create stunning cosmetics packaging that stand out on the shelf, while at the same time taking cost out of the manufacturing and distribution supply chain by enabling affordable shorter runs, more customized packaging and faster time to market. Unique to these solutions is the ability to print awesome imagery and labeling directly onto cylindrical objects as well as creating beautiful folding cartons ready for the final folding/gluing/packing process. Mimaki, the global industry leader and manufacturer of wide-format inkjet printers and cutting plotters, will highlight how efficient, high quality creasing and cutting on packaging board is made possible with Europe’s first showing of the new Mimaki CFL-605RT Compact Flatbed Cutter. This solution delivers cost-effective designs, smoothly and quickly, for even the shortest runs. Moreover, this outstanding flatbed cutter facilitates a fast and free-flowing design process that promotes creative results and a fast route to market with immediate finishing of packaging and packaging prototypes using multiple functions in an all-in-one approach to the needs of agencies, designers, brand owners and converters. Mimaki will also demonstrate how short run on-demand printing of premium, high end and luxury items is made possible by the compact desktop Mimaki UJF-3042. It offers unrivalled versatility and high quality print reproduction on a wide range of materials, products and substrates. An enhanced level of creativity is offered by the kebab option that allows 360° direct printing on cylindrical items, including glass and plastic containers. “You have to see this to believe it, the packages are virtually jumping into the consumer’s shopping cart,” Horsten adds. All of the capabilities of the Mimaki UJF-3042 are also available in the larger A2 format Mimaki UJF-6042. Both printers allow greater versatility and photo-quality print reproduction on a wide range of materials, objects and substrates. 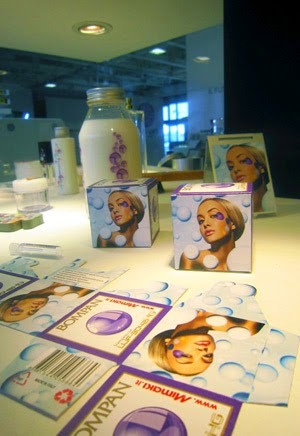 An array of beauty and cosmetics packaging samples will be produced using these printers during the show. Carton board packaging will be produced throughout the show by the compact footprint Mimaki JFX200-2513. The latest addition to Mimaki’s family of UV LED flatbed printers, the JFX200-2513 offers a range of inks, including white and clear, that can print on a broad array of substrates. Last but not least, silver ink will be used to print metallic labels with Mimaki’s CJV150-75. Thisintegrated printer/cutter from Mimaki can also run orange and light black inks to provide high performance, creativity and versatility. Throughout the show the CJV150-75 will be producing stunning packaging printed on transparent media with silver ink and cut/creased in one integrated process. UPM Raflatac has appointed Praveen Gupta as General Manager and Business Development Director in South Asia. Praveen brings with him a decade of project management and business development experience in India. 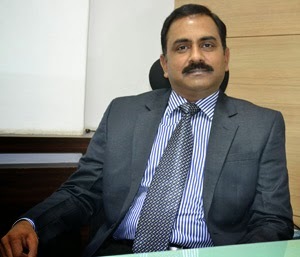 During the last years, he has successfully led UPM’s Paper business in India. He has also been instrumental in driving the growth and success of India Recypa Pvt Ltd engaged in RCP collection and trading business. UPM Raflatac is one of the world’s leading producers of self-adhesive label materials. We supply high-quality paper and film label stock for consumer product and industrial labelling through a global network of factories, distribution terminals and sales offices. Having expanded its flagship company Flexo Image Graphics into two distinct companies last year, Flexo Image Graphics DWC LLC that comprise the distributorship of Mark Andy and Rotoflex for the Middle East and African markets is now pleased to announce their Dubai office in the heart of the city. This move is an extension of FIG DWC LLC broadening its horizons by leveraging its strengths and its core team to empower their customers to realize their full potential in the MEA region. Till now, Flexo Image Graphics had been working with a representative office in the region. However, it has now taken a step forward with the establishment of the Dubai office, which is located in DWC Business Center, Dubai. This new office structure is sure going to give a big boost with Gourav Roy as Managing Director and Pankaj Sehgal helming the responsibility as Territory Manager for MEA region. Toyo Ink SC Holdings Co., Ltd. (President Katsumi Kitagawa) announced today that, effective January 1, 2015, it has merged two wholly-owned subsidiaries Toyo Ink Chemicals Taiwan Co., Ltd. and Toyo Ink Taiwan Co., Ltd. into a single operating entity. The reorganization also resulted in a name change of the newly formed company and a relocation of its head office. 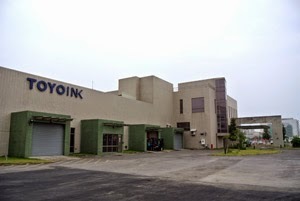 The merger entailed the absorption of Toyo Ink Taiwan, which imported and sold Toyo Ink Group color and functional materials, polymers and coatings, into the structure of the successor company Toyo Ink Chemicals Taiwan, which manufactured and sold resist inks used for LCD color filters. Thereafter, Toyo Ink Taiwan was dissolved, and the name of the successor entity was changed to Toyo Advanced Science Taiwan Co., Ltd.
With this move, the Toyo Ink Group aims to strengthen and deepen its market presence in the Taiwan region by speeding up and reinforcing new product development and customer response time. In addition, the Group is looking to further boost customer and consumer satisfaction while advancing its businesses not only in Taiwan but also those in the China and Southeast Asia region. Toyo Advanced Science Taiwan engages in the manufacture and sale of color resist inks for LCDs as well as the import and sale of printing inks, printing-related materials, pigments, optical materials and adhesives. 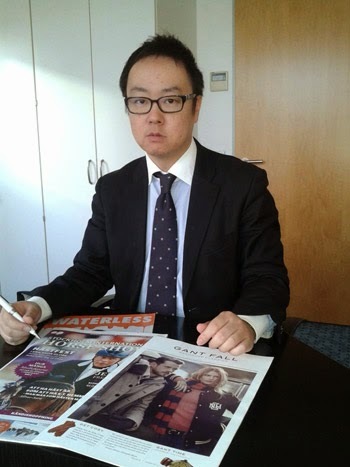 The company was established with a paid-in capital of 600 million Taiwan dollars and a head office located at No. 318, Songjiang Road, 6th floor, in the Zhongshan District of Taipei City. Osamu Ohtake, the former president of Toyo Ink Chemicals Taiwan, serves as president of the newly formed entity. This merger is between two wholly-owned subsidiaries of Toyo Ink SC Holdings and, therefore, has no impact on the company’s consolidated business performance. Esko, the leading global player in packaging production and supply chain solutions announced the acquisition of MediaBeacon Inc., a leader in Digital Asset Management (DAM) software solutions. MediaBeacon, based in Minneapolis, Minnesota (USA), brings an award-winning suite of DAM tools to market, primarily in the USA, through direct distribution and strategic OEM partnerships in various industries ranging from Retail and Consumer Packaged Goods to Media, Print and the public sector. To facilitate a smooth integration process, Jason Bright, CEO and founder of MediaBeacon, will assume the role of Chief Technology Officer. Jason, a highly respected thought leader and industry visionary, will work closely with the Esko R&D teams to drive software integration efforts and to ensure ongoing development of the MediaBeacon DAM software. Brett Robertson will assume responsibilities over daily operations as the General Manager of MediaBeacon. Brett was previously the Director Global Product Marketing, Servo Motors with Kollmorgen. X-Rite Inc. and its wholly owned subsidiary Pantone LLC, today announced they are exhibiting at Gulf Pack and Print, the leading event for commercial and package printers in the Middle East and North Africa. X-Rite will be exhibiting in the booth of their Middle East Partner, Phoenix Technologies (Booth #A20). Gulf Pack and Print is taking place April 13 - 16 at the Dubai World Trade Centre, Dubai UAE. At the event, X-Rite will be showcasing their range of market leading hardware and software solutions developed to maximize end-to-end color control in the print production process. This high level of color control enables commercial and package printers to deliver maximum color consistency to their clients while achieving a higher level of efficiency in their operations. eXact and eXact Scan – This next generation in handheld color measurement enables printers and packaging converters to truly understand, control, manage and communicate color, avoiding unwanted reprint and rework. 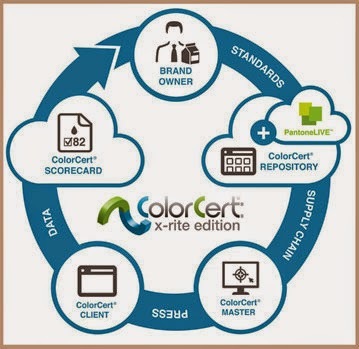 i1 Professional Color Management Solutions – A collection of color profiling tools that offer an unprecedented level of flexibility to address the needs of digital imaging workflows. It features a number of unique color management capabilities, giving users power and control in creating professional quality profiles. The Ci64 Ci6x Series Portable Spectrophotometers – The Ci6x family of handheld spectrophotometers - Ci60, Ci62, Ci64 & Ci64UV - enables printers to manage color in all stages of production. These spectrophotometers ensure printers are confident in their color data, regardless of where or when the measurements are collected. Toray Industries Inc., a leading manufacturer of waterless CTP plates, announced that it will be showcasing products printed with waterless technology at Xfair. Toray will be in stand B07 at the show which takes place from 15-17 April 2015. Toray printing plates incorporate a silicone coating to replace the dampening solution normally used in conventional offset printing. This printing system not only enables an environmentally friendly operation by eliminating harmful pressroom chemicals, but also improves productivity. High resolution prints with higher contrast, greater color gamut, better color consistency and less dot gain, resulting in brighter, cleaner and sharper images. Improved competitive positioning for printing companies by expanding their product range and reducing costs. The most environmentally friendly printing process available, with no dampening solution chemicals and lower VOC emissions in the pressroom. Printers and print buyers alike can differentiate their products from others by using the butterfly logo which represents ecological printing. “Visitors to the Toray stand will have a hands-on opportunity to examine the quality of products printed with waterless technology as compared to conventional printing techniques,” added Mr. Hayashi. “This includes UV-cured prints, microprint security features, high resolution images and packaging, as well as stunning prints on a broad range of substrates that can be difficult to use with conventional water-based printing processes. We welcome visitors to the Toray stand to learn about all of these opportunities." Finat, the international association for the self-adhesive label industry, has reshaped and rebranded its annual congress to reflect greater industry collaboration and cooperation. Under its new name, the European Label Forum (ELF) will take place June 11-13 2015, Amsterdam, The Netherlands. Gordon Crichton, Director of the French Procurement Management Institute (MAI). There will also be a first-hand preview of the 3rd edition of the Finat RADAR, the association’s half-yearly market overview to be published after the ELF. One of the novelties in the ELF will be the series of three parallel programme streams on the first day of the conference, offering a choice of top level expert speakers on three areas of expertise: ‘sales and marketing’, ‘technology and manufacturing’ and ‘management and corporate affairs’. Also new will be a plenary workshop that will take the shape of a ‘lean manufacturing game and exercise’ during the closing session of the event. “Presenting trends and underscoring market influences is the key role of this event, but the value is in truly understanding how they will impact day-to-day business and shape the future. With topics like ‘the new reality of retailing’, ‘label design that makes products sell more’, ‘competing product decoration technologies’, ‘3D printing business models’, ‘succession planning’ and ‘how to sell your business?’ we are aiming to offer direct business value to a variety of label industry audiences and we are therefore encouraging label printers to consider participating with multiple members of staff to take advantage of this opportunity”, adds Mr. Walker. The forum will be the stage for presentation of Finat’s annual awards, too, including the Finat Label Awards and Recycling Award. Etirama has signed M-Tech Print Solutions Pvt Ltd as an exclusive authorized distributor for its products in India and Sri Lanka, with its narrow web flexo label presses – FIT, Super Print, ES 3500 and central impression cylinder types – to be made available in both markets. Based out of Chennai, M-Tech Print Solutions Pvt Ltd has a trained workforce to provide sales and service support in the region under the supervision of an Etirama support team. Etirama, based out of Latin America, is one of the leading flexo press manufacturers in the world. It has more than 60 years of experience and global presence in over 30 countries. M-Tech Print Solutions is also in discussion with other manufacturers in Europe, US and India to partner allied products for distribution in India. HP and KBA announced plans to develop the HP T1000 Simplex Color Inkjet Web Press, a high speed, high volume, 110-inch -wide (2.8 metre wide) simplex inkjet web press for pre-printing of corrugated top liner. This will enable corrugators to combine many individual jobs together on a roll or across rolls for short, mid or long runs. Unlike traditional analogue pre-print, every box can be different. Planned to print at speeds of up to 183 metres (600 feet) per minute and produce up to 30,000 square metres (300,000 square feet) per hour, this inkjet press will print corrugated liner rolls that can then be placed directly onto existing industry-standard 2.5 or 2.8 metre (110 inch-wide) corrugators. This press will be the first solution co-developed by the two companies since the announcement of their strategic collaboration at Graph Expo 2014 in Chicago on 28 September 2014. Centralised corrugated box plants serving major retail brands will especially benefit from this digital pre-print solution for all corrugated print applications. Brands are increasingly requiring just-in-time inventory, shorter runs, and faster turn-around time. HP’s inkjet technology enables significant time, material, and shipping cost advantages when compared to analogue processes. Digital preprint is more efficient than post-print alternatives. HP and KBA both bring proven legacies of endurance, scale and innovation to their joint initiative. This year, HP celebrates its 76th anniversary and its 31st year of Thermal Inkjet innovation. KBA is a 197-year-old company and the second-largest offset press manufacturer worldwide. HP Thermal Inkjet Technology helps meet converters’ needs for high-quality print, along with high-volume productivity, reliability and versatility. Ultimately, it opens the way to game-changing value chain cost savings and capabilities for brands and packaging converters. At drupa 2008, HP announced its first Inkjet Web Press. Since then, the company has expanded its portfolio to its current lineup of ten presses across five web-width platforms transforming the publishing and production mail market. In May 2014 at Interpack, HP announced its intent to enter the corrugated packaging market. In June, the company announced its first web-press offering for this market. Fewer than 90 days later the first HP T400 Simplex Color Inkjet Web Press was installed at Obaly Morava – Czech Republic. At Graph Expo, in September 2014, HP announced its partnership with KBA. The new web-press offering is in addition to the HP Scitex sheet-fed corrugated solutions offered by HP. Demand for a greater variety of products, more frequent seasonal promotions and shorter runs are the over-riding market trends shaping today’s folding carton market. That is why Xeikon, together with its Aura partners, is hosting the Xeikon Café Packaging Innovations at its premises in Belgium, from March 10 to 12. During the three-day event, visitors will learn more about the latest digital trends and innovations in folding carton production and have the opportunity to get up to speed with the newest technologies and share insights. "Brand owners do not want to make any compromises on their profit margins, on the image quality of their packages, or on the protection against counterfeiting and we will be demonstrating how we can help them meet these expectations while delivering a flexible, creative and cost-effective route to market,” explains Filip Weymans, Xeikon’s Director Segment Marketing Labels & Packaging. At the event, Xeikon and its Aura partners will showcase their industry expertise through a number of folding carton applications produced using the Xeikon Folding Carton Suite. The tailored combination of a Xeikon 3000 Series digital press, a range of substrates, specific workflow and software components, toners and consumables as well as auxiliary equipment enables print providers to deliver packaging applications with a unique look and feel as well as build new revenue streams with higher profit margins. The suite is also supported by Xeikon’s extensive network of Aura partners which are all leading suppliers in their field. The collective knowledge base covers all aspects of digital production and offers visitors unique access to information to help deliver tailored solutions that address the customer’s specific production needs. The spectrum of solutions and profitable possibilities digital print is capable of supporting will be showcased by four different applications. Visitors will also have the opportunity to talk with leading experts and collect a detailed brochure detailing the range of technologies and configurations that are available through Xeikon and its Aura partners. In a world that is evolving and where brands are looking for protection against fraudulent businesses, security features play a vital role. Xeikon along with partners Metsä Board, Meech, Actega, Kurz, ATT Software and Bograma will be looking into addressing these specific security issues. Personalisation is a growing trend that also fosters greater customer loyalty. Xeikon will be showcasing personalised pastry boxes for children facilitated by CHILI Publish and produced on a Xeikon 3500 digital press. A food safe odourless varnish from Actega will be applied to a Stora Enso substrate with finishing completed by Zünd. The whole process will be automated by the Xeikon Vectorizor. The typical chocolate box will be made picture perfect by the Xeikon 3500 with QA-I and SuperBlack toners. Printed on a Stora Enso substrate and varnished with food safe water-based Actega, its golden elements will be applied by a unique digital foiling equipment Kurz DM-liner. It will be finished by Highcon’s digital converting unit for cutting and creasing folding cartons. Last but not least coffee lovers will appreciate a high quality box with foiling and raised varnish produced on a Xeikon 3500 digital press. Actega varnish will be added on a Metsä Board substrate and the box will be finished by Zünd’s cutting table to complete the final look. A Xeikon 9800 digital press will also demonstrate booklet and leaflet production on 40gsm uncoated roll-to-roll stock. The printed rolls will then be converted into leaflets by MBO finishing solutions. In addition to the extensive range of on Folding Carton applications on display, visitors to the Xeikon Café will also learn more about the dedicated solutions for Self-Adhesive labels, Heat Transfer and In-Mold Labels. The Xeikon Café Packaging Innovations is a platform offered by Xeikon and its Aura partners, offering the opportunity to understand, evaluate and experience digital production, and enabling printers and converters to consciously make a business decision. Through demonstrations, presentations, workshops and discussions, participants receive first-hand actionable information and advice on industry innovations and trends. Packaging has been a prime driver in the development of printed electronics, from RFID to QR codes and other digitally ‘readable’ data. 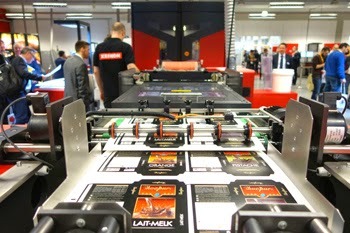 The printing expertise, specialist materials, and conductive inks required to reliably create these ‘intelligent’ functions have long been a specialty of the label production chain – an extended value chain which is supported by a single umbrella organisation in Europe, FINAT, the international association for the self-adhesive label industry. 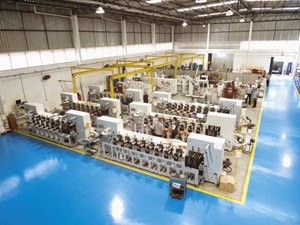 Proactive participation in educating and supporting its member companies as well as the industry in general in newly-developing territories such as the printed electronics arena is an ongoing focus for FINAT, as innovation continues apace. A recent members-only expert webinar on printed electronics provided a valuable update on existing applications and potential opportunities for printers in the narrow-web flexo market – not just in packaging or labels. In a world where the majority of the population has a smartphone, the opportunities to link up such instruments to interact, via printed electronics, with what would appear to be simple printed posters or other items is now attracting more and more interest internationally. Outdoor advertising and displays are good examples. As part of the launch for their new Flavour Shots herbs and spices range, Schwartz used a ‘sonic poster’ featuring Novalia’s capacitive touch technology. 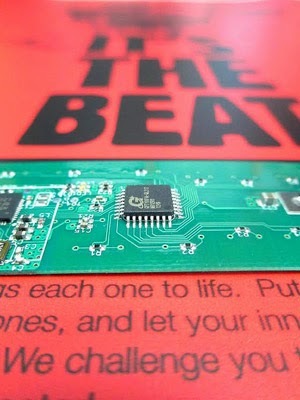 The paper poster, when touched, plays music wirelessly through a Bluetooth-enabled smartphone or tablet. Touching the artwork on different spots triggers musical chords that are meant to add an extra level of engagement with the new Schwartz products. It is conductive inks that turn the surface area of the paper into an interactive interface. Adding new dimensions such as sound or movement to display print is certainly an innovative way to enhance a consumer’s perception of, and interest in, a product. On a more serious note, pharmaceutical and healthcare applications add user-friendliness to alert a patient to the need to take his blister-packed medication – and enable the pharmacist/dispenser to check, thanks to a microprocessor in the pack, that the drugs were in fact taken at the right time in the right quantities. Innovation beckons the brand owner! “There is certainly a considerable and growing interest from narrow-web label printers in extending the range of specialist capabilities they can offer to brand owners. Their skills base and pressroom equipment can enable them to deliver printed items incorporating printed electronics in a variety of creative forms that go well beyond traditional functional/industrial applications and conventional label print,” Mr. Jones concludes. Finat, founded in Paris in 1958 with headquarters in The Hague (The Netherlands), is the worldwide association for manufacturers of self-adhesive labels and related products and services. With more than 500 members in over 50 countries around the world, Finat has much to offer to label converters and all suppliers to the labelling industry in terms of information exchange and in terms of international networking. The buzz has already started building up for Pamex 2015, as the event gears up for its next edition in Mumbai. The event Core Group committee is now taking shape with many important players confirming their support and participation. Companies like ACME Machinery (India) (P) Ltd.; Acme Machinery Company (P) Ltd; Advanced Graphic Systems; Canon India Pvt. 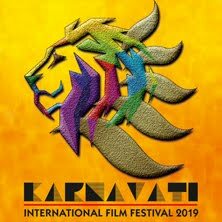 Ltd.; Electro Mec; Epson India (P) Ltd; Grafica Flextronica; Insight Communication & Print Solution India (P) Ltd.; KOMORI; Label Planet; Monotech Systems Ltd; Nippon Color; S L Kulkarni Cyril Graphics Pvt. Ltd.; Suba Solutions; TechNova Imaging Systems (P) Ltd.; UV Graphics Technologies Pvt.Ltd. and Vinsak are the leading players in their segments that have already joined 'Core Group' team. 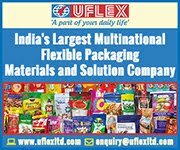 Some other leading suppliers, printers, media companies and trade associations will complete the group that is slated to have its first meeting in Mumbai in April and will quickly be followed by another meeting in Delhi in the month of May. The Core group will help hone the focus of the exhibition, the promotion campaign and the theme and structure of the concurrent conference. To make PAMEX a truly international event, The All India Federation of Master Printers (AIFMP) and Print-Packaging.com (P) Ltd. (PPCPL) have come together to organize the tenth edition of the event at Mumbai from 9 -12 December 2015. How a wide range of substrates can enhance digital print opportunities will be showcased by Stora Enso and its extensive product portfolio at the Xeikon Café Packaging Innovations event, taking place in Belgium from March 10 to 12. A global player in the paper, biomaterial, wood product and packaging business, Stora Enso develops innovative solutions based on renewable materials. The company offers a wide board and barrier coating selection ideal for imaginative graphical and packaging concepts and for optimizing packaging. 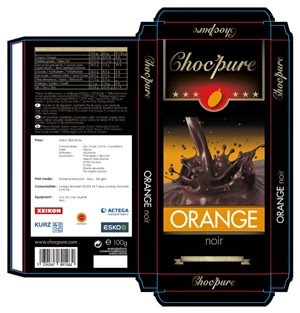 The boards are used by brand owners for liquid packaging, food service and food packaging, pharmaceuticals, cigarette, chocolate, cosmetics and luxury packaging, and in graphical industry. He continues: “At this event, it is possible to see lots of different equipment being used within the digital industry. By long-term testing and customer experiences we know that our products work very well with digital printing presses and we want to inform a broader audience about that.” For this purpose, Peter Daams will also be presenting Stora Enso’s unique story about its expertise and experience in the digital industry as part of the Technical Conference Program. He will also touch other current and interesting topics, in which Stora Enso is the forerunner. Stora Enso is the global rethinker of the paper, biomaterials, wood products and packaging industry. Stora Enso employs some 27000 people worldwide, and is a publicly traded company listed in Helsinki and Stockholm. Stora Enso Consumer Board division operates five mills in Europe, producing recyclable high-quality boards for printing and packaging applications. Growth markets include China, India and Pakistan.